We're improving access to court bookings. 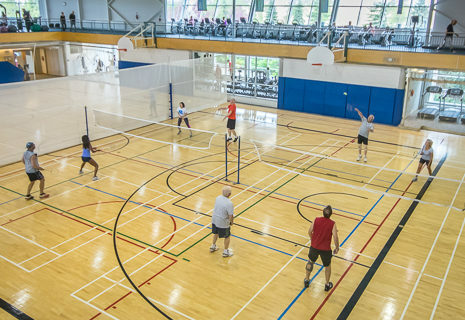 In an effort to make booking a badminton/pickle ball court time more customer friendly, we will be adding the options of booking here through our site and through our Wellness App, as of June 1st, 2017. The option to book at the front desk is still there if that is your preference, however these additional options allow for equal opportunity to court times without having to wait in line or call in. The court booking rules have been updated to reflect the new booking options. To access the online options, you will be required to have a login and password. If you don’t have these credentials already, please contact us at info@wellnessinstitute.ca or 204-632-3900 so we can provide them to you. The videos below show the new regular court booking process after you've got your login setup. Book your court time here online or with the Wellness App! If you are ready to book, we recommend that you log in here first and then select Wellness Services.